PSP Marine Tapes has just introduced a new safety tape to their range. 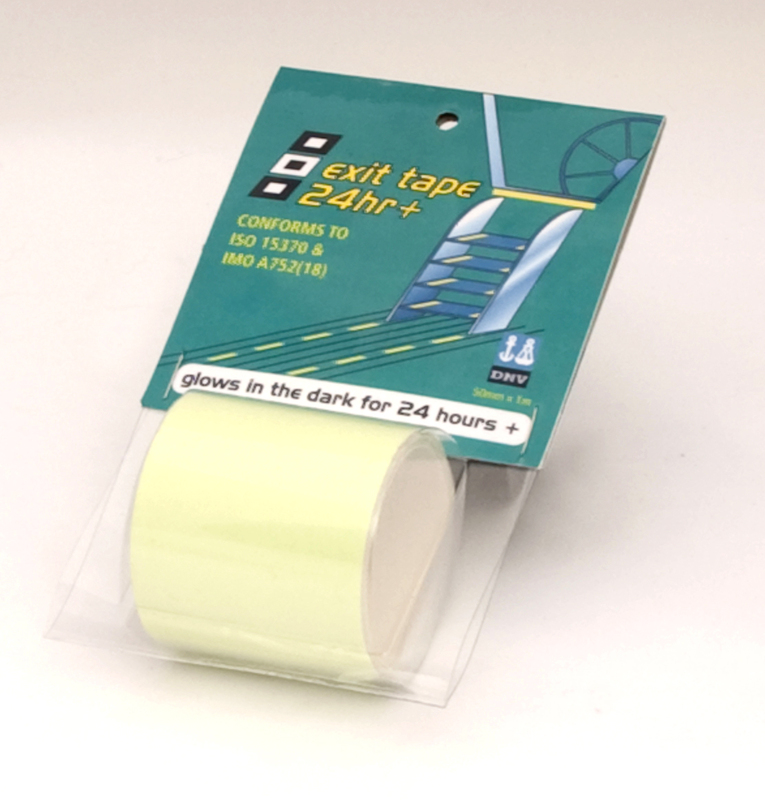 Exit Tape 24 hour+ is designed to glow in the dark for up to 24 hours for safety marking of steps, companion ways and escape routes. From a charge of around 8 hours of daylight to top up the glow, Exit Tape conforms with the ISO standard 15370 for low location emergency lighting for escape routes. The tape comes in a 50mm width roll in one metre lengths and is easy to apply to a smooth, clean surface sticking straight to a ladder or either side of the companion way or cabin sole. This type of safety marking has proven extremely effective on passenger ferries for low location lighting and this tape brings this safety feature to the marine leisure market. Go On Deck Safely at Night with PSP Exit Tape is ideal on any type of vessel, power or sail and a positive must for sleepy offshore race crew going on watch at night. PSP Marine Tapes has an ongoing development programme with tape solutions for safety, fastening and on board repairs. All PSP products are easy to find anywhere in the world – just look for the logo, which is the international code flags ‘Papa, Sierra, Papa’. Availability: Via retailers worldwide. If you experience difficulties obtaining this special tape please contact PSP direct.